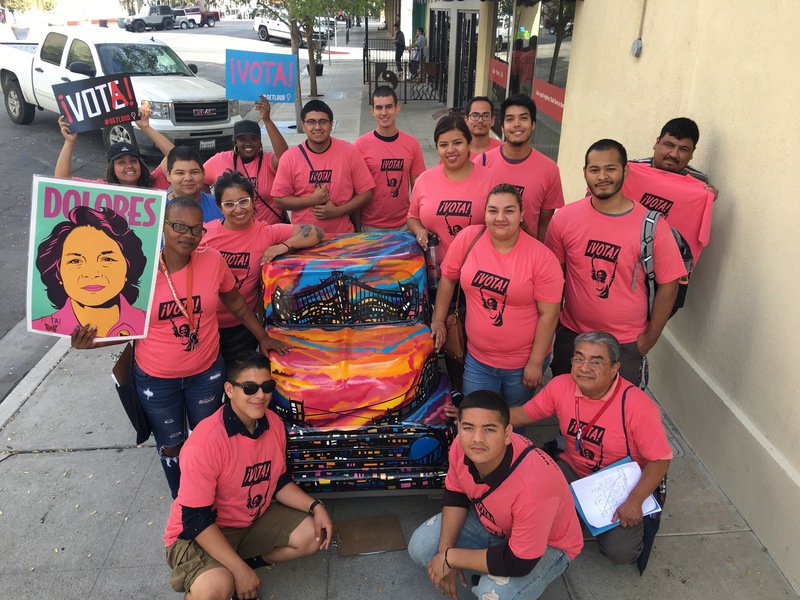 In July, DHF launched the “ Si Se Puede, If You Vote!” Campaign, a massive coordinated non-partisan civic engagement effort targeting youth, new citizens, and low propensity voters in Kern and Tulare Counties for voter registration, education, turn out, and voter protection. 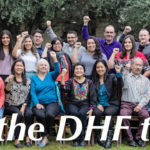 Over 200 volunteers joined the DHF’s civic engagement efforts leading up to the general election. Working in collaboration with Latino Interactive Voter Education (LIVE) Project and California Calls, a statewide alliance of 15 organizations, DHF hired 32 canvassers for a 7 week phone banking and door to door canvassing campaign in Kern County and recruited 90 volunteers who educated voters on key local and statewide propositions. DHF Civic Engagement Coordinator, Jess Contreras, oversaw the campaign which contributed to the passage of the following initiatives: Measure J, a community college bond for facility development projects, including $25 million allocation for a new Arvin facility; Proposition 55 raised taxes on the wealthiest Californians to fund education and health care; Proposition 56 increased taxes on cigarette and tobacco related products to fund healthcare and smoking prevention for children and seniors; and Proposition 57, The Public Safety and Rehabilitation Act protects minors as young as 14 from being tried as adults and provides incentives for incarcerated people to complete rehabilitative programs inside. People who avoid disciplinary write-ups, maintain positive behavior, and complete rehabilitative programs, such as counseling, education and job training, can now earn additional credits toward their release. The Cali Calls team exceeded voter engagement goals, registering over 900 eligible voters, contacting 17,700 registered voters, and identifying 12,000 supporters who pledged to turn out to the polls. In May 2016, DHF signed on with the Young Voter Empowerment Project (YVOTE), a statewide coalition focused on making millennial voters (ages 18-34) into a permanent voting bloc in California in order to reshape the electorate to be more reflective of the actual population. Under the direction of DHF Civic Engagement Director, Gerald Cantu, Ph.D. in Kern County and DHF Organizer, Irlanda Ramirez in Tulare County, outreach efforts included a mix of canvassing, phone banking, and text-messaging. DHF youth organizers used the Hustle mobile app to create one-on-one relationships with supporters through text messaging, bringing the power of old-fashioned in-person organizing to an easy-to-use SMS platform. This was part of a pilot experiment to determine whether contact through text increases likelihood of turn out. The canvassers on the YVOTE Team registered over 100 eligible voters and exceeded their goal by contacting over 5,000 eligible voters, more than 3,500 pledged to vote in the 2016 General Election. 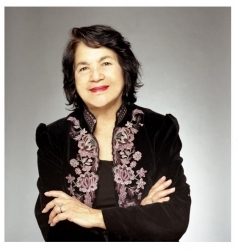 In partnership with Asian Americans Advancing Justice (AAAJ), DHF participated in a poll monitoring project to ensure that county registrars were in compliance with state and federal laws protecting voters’ rights, and providing language assistance, specifically, to population areas with Spanish, Tagalog, and Hindi speakers. Twenty poll monitors visited 40 polling sites on Election Day to ensure that the county registrar was in compliance with relevant protocols. DHF recruited the poll monitors, coordinated polling sites, and acted as the hub of communication for any issues. Local efforts were documented and will be incorporated into AAAJ’s statewide report. After which, AAAJ and DHF will meet with county registrars and provide recommendations. During the months of March and April DHF worked with Building Healthy Communities partners on the #Health4All campaign in an effort to educate undocumented and mixed immigration-status families in California about a Medi-Cal expansion. A team of 12 canvassers went door to door to encourage families to pre-enroll and provide information on how families could enroll at certified local enrollment agencies. The team contacted 6,100 people in Kern and Tulare counties and made 371 referrals for enrollment.